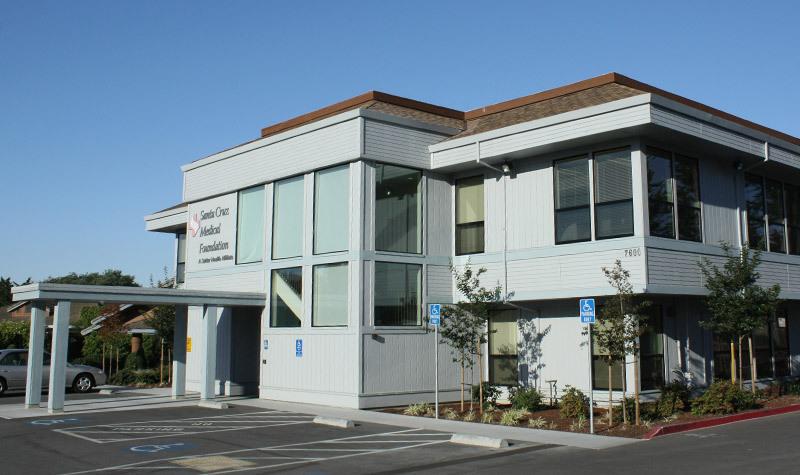 Palo Alto Medical Foundation chose Slatter Construction to revamp their 40-year-old Main Campus location with a caution to maintain patient care. The facility was remodeled on a 17-phase schedule that moved and upgraded each patient care department one at a time. It’s the kind of innovative, flexible solution Slatter Constuction is known for. Slatter and PAMF have completed seven projects together. The client relationship is strong and communications clear. Medical facility construction brings its own unique challenges—medical equipment carries exacting specs, permitting requirements often evolve over the course of a job, and the demands of high traffic patient care can strain every element of a building’s infrastructure. 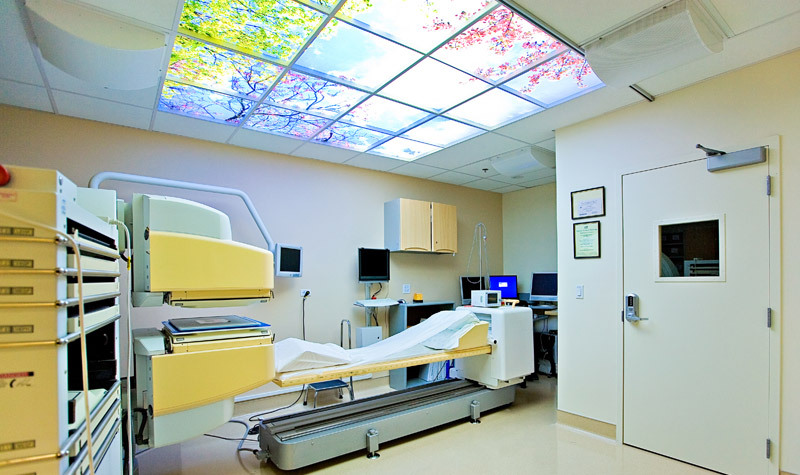 This remodel demanded that every facet of patient care: parking, access, clean, quiet diagnosis and treatment rooms, records maintenance and lab work be maintained throughout the $12 million, three and a half year project. “We never looked at the medical clinic as a construction site,” said Tim Sclamaini, Slatter project foreman. “And from that point of thought it was very clear how the job needed to run. Everything we did: schedules, procedures, subcontractor hires, deliveries – had to respect patient care. The staff and patients had no desire to alter care to accommodate construction. Our job was to work cooperatively with the staff and respond immediately when a concern or situation arose”. Always-on communication ensured that the job ran smoothly. Systems were in place to deal with issues immediately. The job superintendent’s phone number was available to staff throughout the facility. A daily safety meeting among site workers created a cohesive team that was invested in getting the job done right. All site workers signed off on Slatter’s innovative Code of Conduct and job procedures. The Code asked workers to take personal responsibility for putting the client first by respecting the clinic and patients at all times, making eye contact, behaving in a friendly manner, avoiding profanity and investing in site cleanliness. In fact, construction workers on the PAMF job helped people navigate tight parking spots, loaded wheelchairs and gave directions, and received a number of compliments from patients. Taken together, the safety meetings, site procedures and code of conduct prevented minor issues from slowing work and increased overall performance. The job ran two crews, one at night to do demolition and heavy construction and one during the day doing lighter, quieter work. At each worksite rigid insulation barriers were installed to diminish noise and dust migration, neatly walling off the remodel in progress. 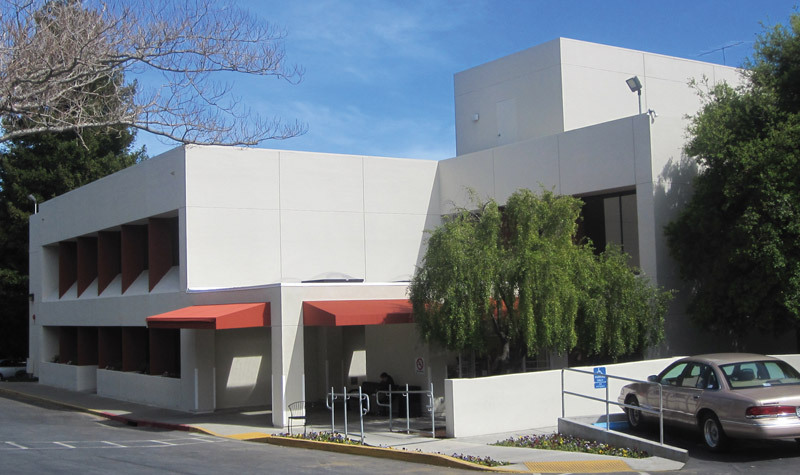 To remodel each medical department was moved to an interim spot for 90 days while their original space was refreshed. The Urgent Care Department, by example, was moved on a Friday afternoon and on Saturday morning everything in the interim location was up and running—ready for patient care. Radiology was remodeled over a year to allow seven of the eight x-ray rooms to be open for patients while one was refurbished. To make work progress smoothly it is critically important to identify and address any points of pain for the client. As construction got underway on the main campus it became clear that it would be less expensive and more efficient for Slatter to take on moving duties. Taking the duty in house allowed construction crews the flexibility to move the minute a new space was ready, sometimes in the middle of the night, which reduced costs and logistics management for the client. Slatter worked hand in hand with building maintenance throughout the project to jump in and solve problems unrelated to construction. Anything that impacted the building could impede the job’s progress. One day, the facility’s regular cleaning crew accidentally dumped caustic chemicals down a drain, which then seeped through the floor to patient care rooms below. Another day the plumbing backed up and threatened to close the entire facility down. In these and other instances, Slatter stepped in to resolve the problem and ensure the integrity of patient care and the work schedule.